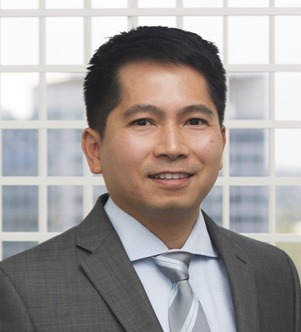 Triet M. Nguyen counsels clients, from startups to large companies, on intellectual property matters, specifically regarding US and global patent prosecution and IP strategy. Triet is highly skilled in prosecuting multiple families of patent applications in the US and foreign countries. His experience includes preparing and prosecuting patent applications in areas targeting enterprise software, computer vision & image recognition, cloud & network computing, internet technology, social networking, semiconductors, wireless technologies, mobile devices and medical devices. Triet has also advised clients with respect to filing design, trademark and copyright applications to further protect their IP assets. He has prior experience in providing support for litigation cases in Federal District Court, including being involved with settlement and licensing negotiations for patent infringement cases. He has also counseled Chinese manufacturers with formulating a US patent filing strategy, analyzing existing patents from US competitors and initiating license negotiations to mitigate infringement risks in the US. Prior to becoming an attorney, Triet worked as a software engineer in Silicon Valley, focusing on designing and implementing enterprise level software for companies including Sun Microsystems (acquired by Oracle) and Zaplet (a Kleiner Perkins Caufield Byers funded startup).